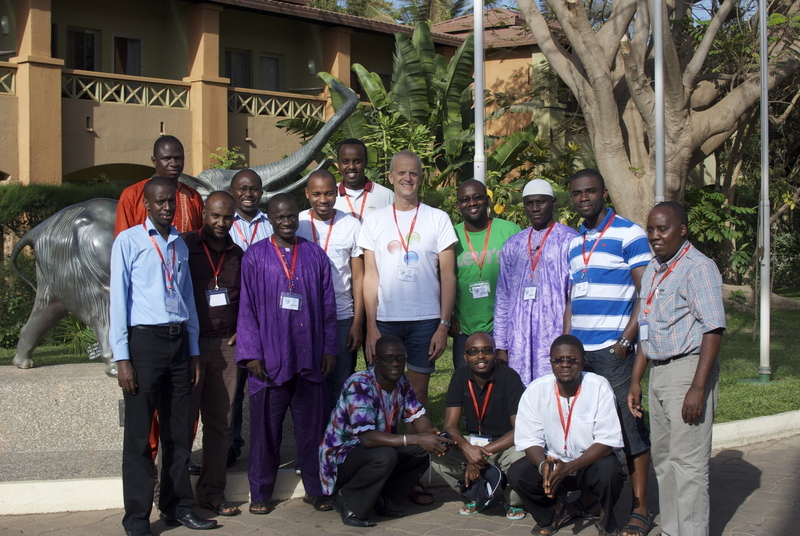 This course on Advanced Routing is part of the AfNOG 2012 Workshop on Network Technology, held in conjunction with the AfNOG meeting in Serrekunda, The Gambia, in May 2012. Workshop Synopsis: The workshop is a mix of lectures and hands-on training in a well-equipped classroom over a five-day period to teach skills required for the configuration and operation of large scale Networks that make up the Internet. Who should attend: Technical staff who are now building or operating a wide area service provider network or Internet Exchange point, with international and/or multi provider connectivity. Participants are required to bring laptops. Pre-requisites: Successful completion of a previous AfNOG Scalable Infrastructure Workshop or similar training. Alternatively, participants must demonstrate acceptable knowledge of or their experience with a router configuration language. Experience of interior routing protocols such as OSPF or ISIS is also necessary, and participants must have used BGP. Some user level Unix experience would be advantageous. BGP refresher, including attributes, policies, communities and best practices. Techniques and strategies for multihoming using BGP. Introduction to peering and Internet Exchange Points. Best practices for Internet operations. Shows the entire course at a glance. Detailed course outline, including many links to presentation materials used during class.